The Volcan’Express comprises of two 24-seat train wagons on a 3-DOF pneumatic dynamic platform. 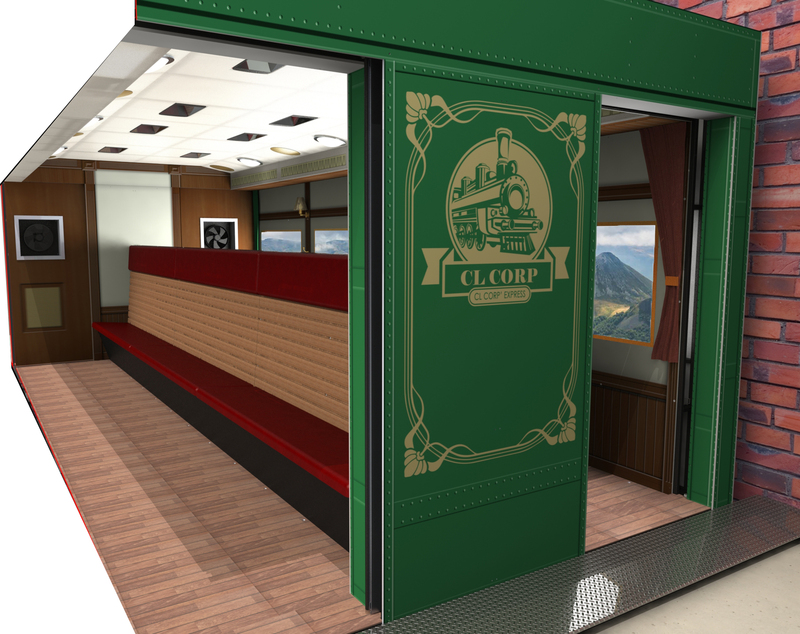 For total immersion, the windows of the wagons will actually be 4K screens (eight per wagon, four on each side). These will relay a trip in the Puy-de-Dôme along the Lemptégy volcano. During their trip, passengers will witness many events including the awakening of the volcano. The synchronisation between the screens coupled with effects including heat, wind, smoke and vibration will provide a breathtaking experience. The content that will be shown on the screens is being produced by Goodman & Company. The first part of the film will feature real footage shot on site by drone, while the second part will be created in 3D. This will allow the addition of scenes that cannot readily be filmed in nature, such as lava explosions or burning forests. The two processes, live and CGI, will be mixed in such a way as to give a realistic result. Located in the Chaîne des Puys – Limagne fault area, which enjoys UNESCO World Heritage Site status, Volcan de Lemptégy is the only volcano to have its anatomy so clearly visible and showcased. It has operated as a visitor attraction since 1992. During that time, it has welcomed more than 2 million people from around the world. The Volcan’Express project is the second collaboration between CL Corp and the volcano. 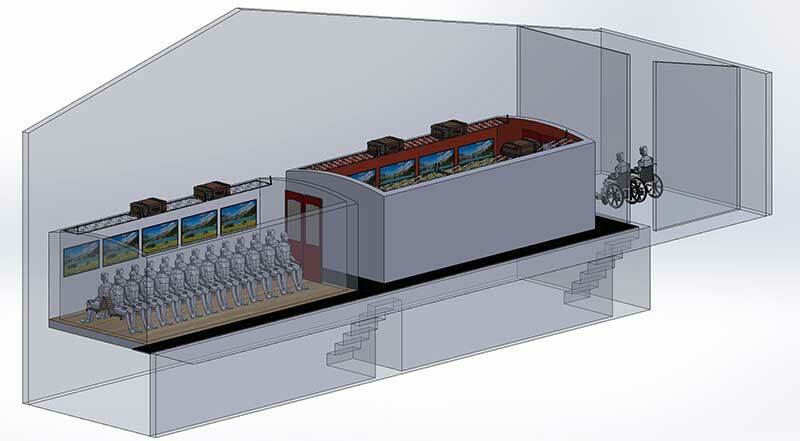 Previously, the two parties worked together on a 4D attraction called “The Explosive Mine”.